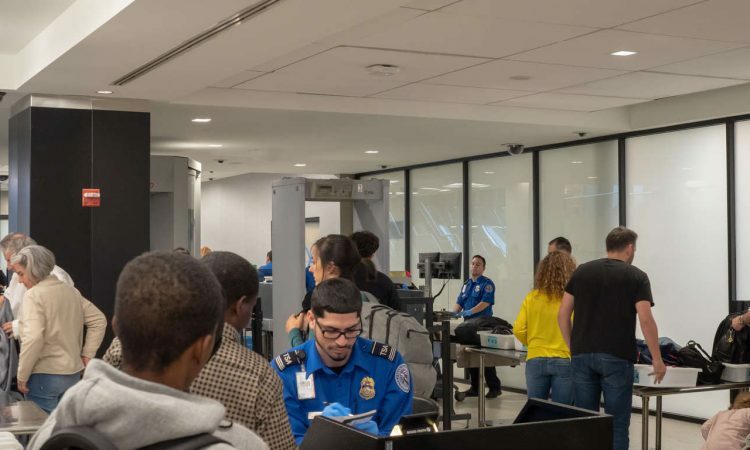 The TSA reports that it intercepted more guns than ever before in 2018, and that most of them were loaded.Although the rules dictating everything from the amount of liquid and powder you’re allowed to the types of electronics you can use on a commercial airplane have changed over the years, it’s pretty obvious that you’re not supposed to pack a gun in your carry-on bag. However, a shocking number of people either didn’t realize that or felt bold enough to try getting away with it anyway last year according to new data just released by the Transportation Safety Administration (TSA), which reveals a record number of firearms were intercepted in 2018, and that a disturbing amount of them were actually loaded. A closer look at the stats shows that the most guns were found at Atlanta’s Hartsfield-Jackson airport, where a record-setting 32 were discovered in August 2018 alone. Dallas/Fort Worth took the number two spot, while Phoenix rounded out the top three. Considering last year saw a record number of air travelers may help explain the fact that it also saw the most guns intercepted, but the number is still staggeringly high compared to recent stats, especially when you consider there were 4.5 times as many found in 2018 as there were in 2008. Of course, each state has its own laws on gun possession, but the TSA has pretty strict rules across the board when it comes to transporting a firearm while flying. To do so, you’re supposed to pack it — unloaded — in a locked, hard-sided container in your checked baggage, and declare it with the airline you’re flying before you travel. Not doing so can get you in big trouble and slapped with a fine of up to $13,333. So, if for no other reason, you probably shouldn’t try and sneak your Glock onto a flight unless you’re ready to fork over some serious cash. Oh, and also, if you’re curious, you should also leave your sickles and knife-blade fidget spinners at home, too. Those don’t fly either, in more ways than one.